Patrick Cau admitted to phoning in fake bomb threats to United Airlines while he reportedly worked as a flight attendant for competing American Airlines. Editor's Note: An earlier version of this story incorrectly stated that Patrick Cau made the bomb threats while working as an American Airlines trainee. According to court documents, Cau made the threats between October and January. American Airlines said Cau was accepted into American Airlines' training program in February and began training in March. NBC DFW regrets the error. 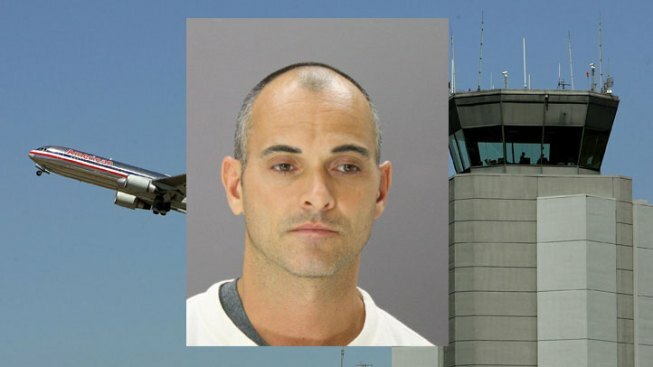 A flight attendant trainee for Fort Worth-based American Airlines is off the job and on the government's "no-fly" list after pleading guilty to making several bomb threats to United Airlines. Court records show Patrick Cau admitted to calling in eight bomb threats targeting United Airlines flights. Cau is a former United flight attendant. Cau took a plea deal admitting his guilt and confessed that he started making the hoax calls back in October. Records show he admitted to using a pay phone near his home in Los Angeles to call an internal number used for United crew scheduling to claim there was a bomb on board a flight from London to LA. According to court documents, Cau used pay phones near his home and around the country to make threats against six United flights between October and January. Miller said the company checked Cau's background for any criminal record and whether he was on the government's no-fly list, but nothing turned up. "My understanding is he was added to the list after" the airline's background check, Miller said. "That was the first red flag." A spokesman for the U.S. Terrorist Screening Center, which maintains the no-fly list, said the agency wouldn't say why or whether an individual is on the list. The bomb hoaxes cost United an estimated $267,000 due to flight delays and cancellations. Investigators said the threats also wasted law enforcement time as passengers had to be evacuated from targeted planes and re-screened. Cau's attorney, John Duran, said that United had declined to investigate the man's claims that a male supervisor sexually harassed him. A United spokeswoman confirmed that the man had worked for the airline but declined to comment further. Duran said that Cau worked for United for 15 years and rose to the position of purser or head flight attendant. Duran said the sexual-harassment case "didn't go anywhere." "There was an actual basis for his unhappiness with United," Duran said. "He's a good guy who made some really poor decisions." As part of the plea deal, Cau has to repay United Airlines and is facing up to five years in prison. Cau, who is a German citizen, also faces possible deportation. He was indicted in May and remains in custody. Duran said his immigration status made him ineligible for bail.